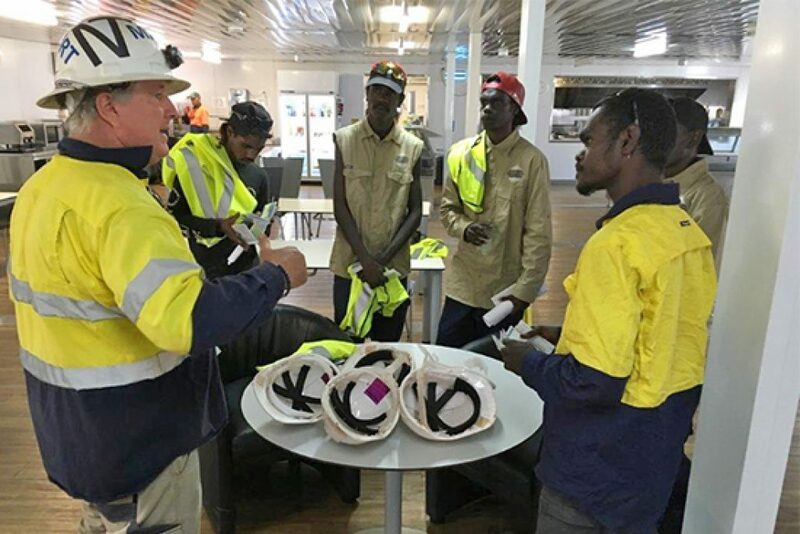 NT Port and Marine, an AusGroup company, is currently delivering training for two groups of trainees on Melville Island, with both groups returning to the port next week to continue the second part of the course. The Port Operations Support Officer Training program, which is delivered by NT Port and Marine and Civil Safety in partnership with the Tiwi Islands Training Education Board (TITEB) is funded by the NT Government. The program aims to provide multi-skilled training to local Tiwi students, with the view to provide employment and a local labour force to Port Melville. NT Port and Marine is providing the students with a learning centre, workplace and heavy equipment for training purposes, while also subsidising accommodation and meals for the duration of the course. NT Port and Marine Port Manager Lindsay Whiting, is facilitating the program and working with mentors who are providing students with support and guidance to position them for long-term success. Overall, the program will see 12 Tiwis trained in a variety of skills including; rigging and dogging, materials handling operations and forklift operation, qualifying them for local and future employment opportunities.